Everyone likes listening to music! That’s why you should to come to our meeting with Tivoli Audio next Monday! They are a Boston-based company who make speakers and radios, and will show off some of their newest creations. They will also discuss the audio industry, its exciting future, and innovations. Grab a slice of pizza with us, hear some of your favorite songs in great sound quality, and get an insider’s view of acoustics! Tivoli Audio makes elegant, functional radios and speakers. Come hear Paul De Pasquale, Vice President of Product Design, speak about the future of the consumer audio industry, and the design of Tivoli’s newest offering, the Model One Digital. 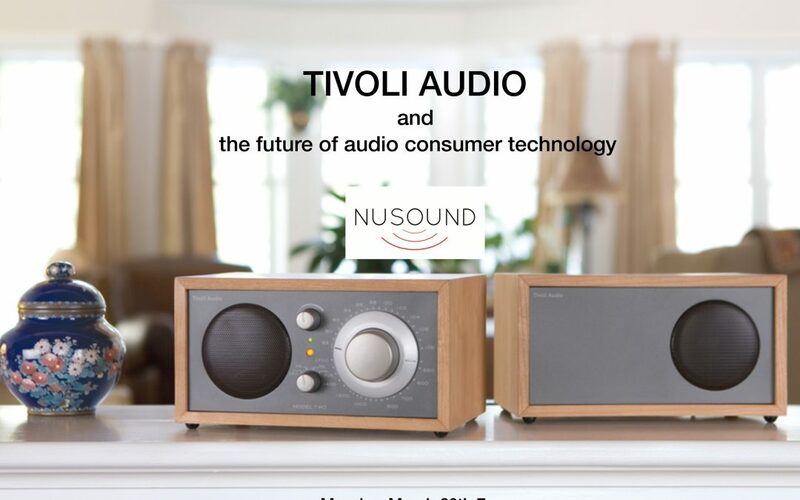 Tivoli makes some seriously neat speakers, and they are based right here in Boston, so we hope you’ll come join us and learn about the future of the audio industry!